Equi-Heart Pledge: Day 15: Reclaiming Your Child-Like Essence! Did you leave behind a beautiful part of your Essence somewhere in childhood? A missing piece your life desperately needs now? Horse wants to help you recover it! When I got inside, I drew the energies I saw during my healing with horse. 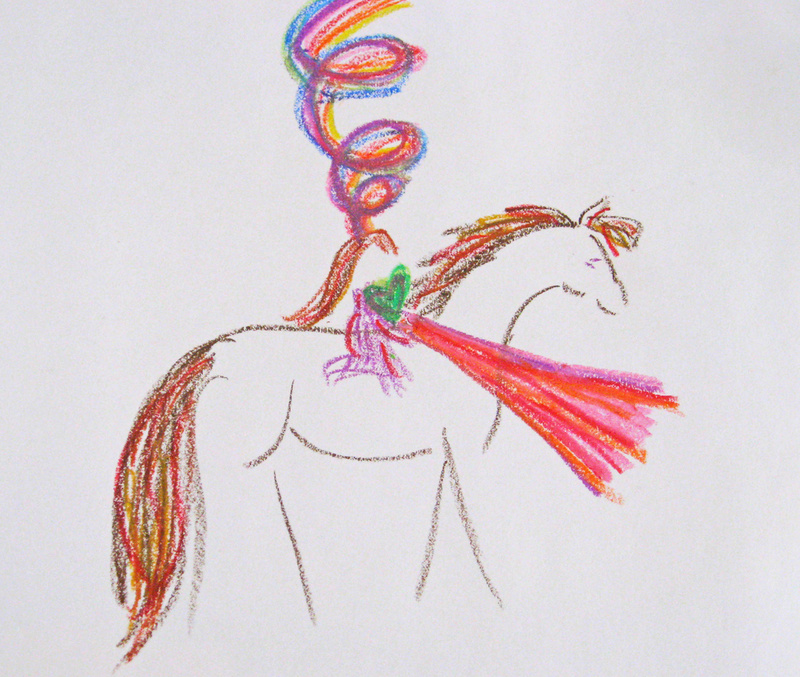 I find that drawing or painting is an excellent way to anchor in the new vibrations horse has offered to you! If you want to play with the Equine-Inspired Inner Inquiry process that I used today, grab your copy of the free report: 5 Steps to Healing with Horse. Ready to reclaim more of your original essence and release the baggage of the past? 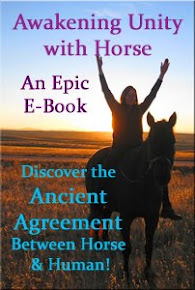 Grab your copy of the Journey Ride: Reclaiming Your Magnificence with Horse here. 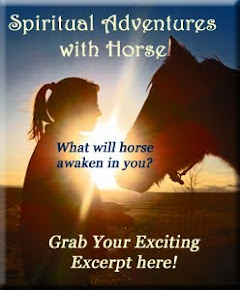 It's a 55 min downloadable MP3 guided healing meditation where you'll work with your body & horse to recover your original gifts left behind long ago, and release what no longer serves!